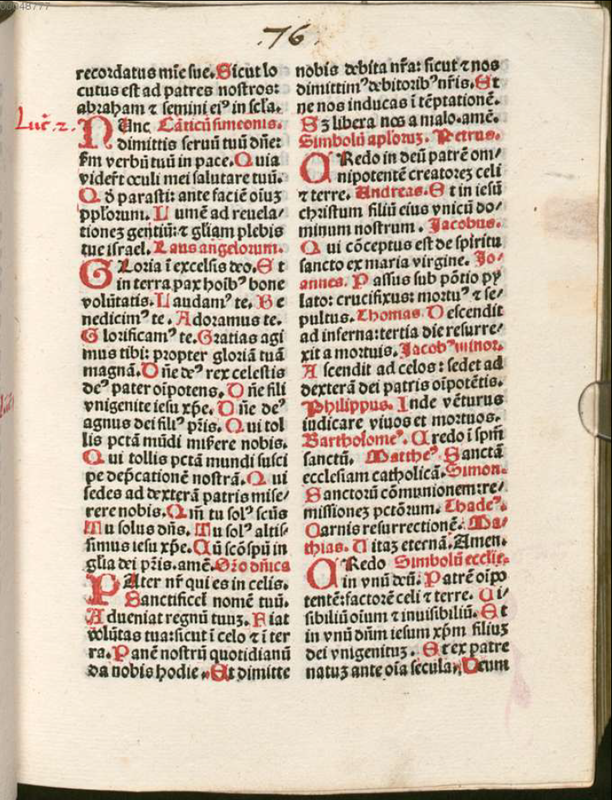 The Sequence “Caeli enarrant gloriam” in the Mass of the Division of the Apostles, starting towards the top of the second column here. (Click to enlarge.) 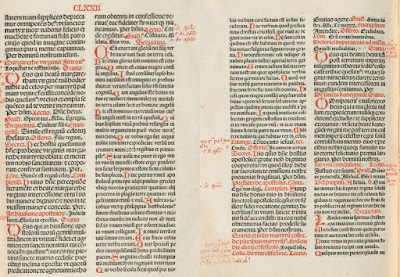 From the Missal according to the Use of Augsburg, Germany, ca. 1510. 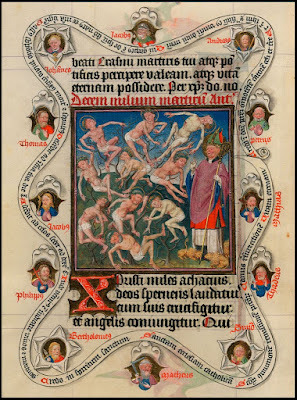 It is also seen here in a Carthusian Breviary ca. 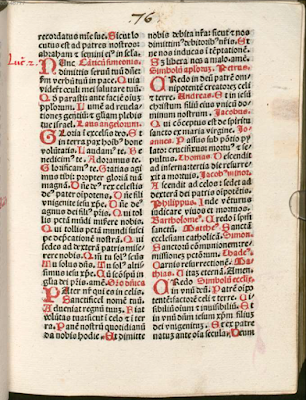 1490, (starting near the top of the right column), in which the name of an Apostle is printed in red before each article of the Creed. 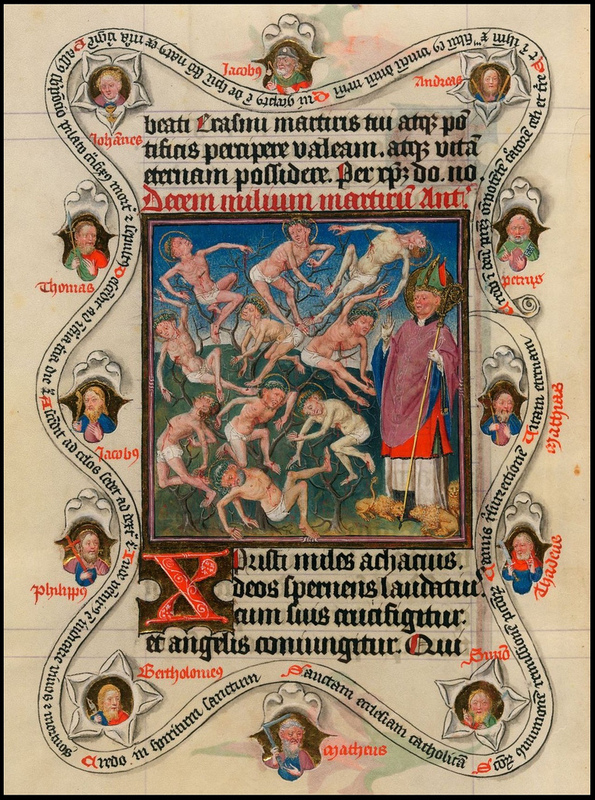 Like many of the traditions held dear by the medievals, it was called into question by some of the scholars of the Renaissance, particularly at the time of the Council of Florence in 1438. As the Council wrestled with the question of reunion between the Eastern and Western churches, the issue of the Creeds, and especially the Latin addition of “Filioque” to that of Nicea, was of course one of the most important topics of discussion. 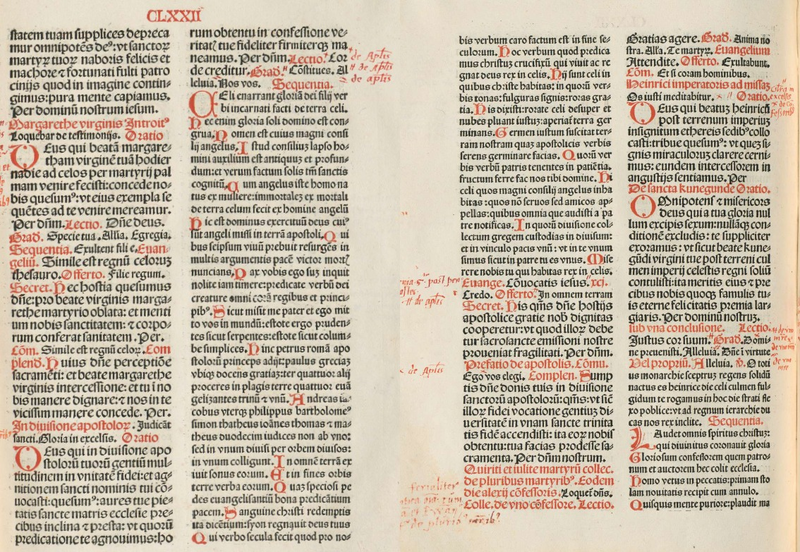 The Latins, who recognized three Creeds used in the liturgy, the Apostles, the Nicene, and the Athanasian, were unpleasantly surprised to learn that the Greek delegates had never heard of the first of these.